On Sale Now! 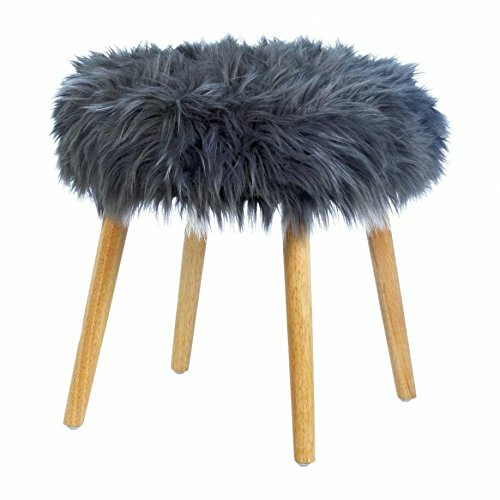 Save 7% on the Fluffy Stool, 4-legged Contemporary Dorm Furniture Footstool - Faux Fur, Wood by Accent Plus at Momiji Studios. MPN: FF-D04E-4968. Hurry! Limited time offer. Offer valid only while supplies last. This bedroom footstool small is made of rubber tree wood. The top of these outdoor stools wood are covered with fluffy gray polyester faux fur. The faux fur stools are exceptionally comfortable and soft. With this faux fur footstool, you'll be resting your weary feet in style! Contemporary footstool round weight: 7.4 pounds; wood stool legs dimensions: 17.8" x 17.8" x 17.2"